(18/P095) TRENTON – A business that recycles typical as well as unusual materials, a county government recycling program that creatively uses social media and its website to promote recycling, and a high school student whose battery recycling initiative at school is now a town-wide initiative are among those honored by the New Jersey Department of Environmental Protection as 2018 recycling leaders. 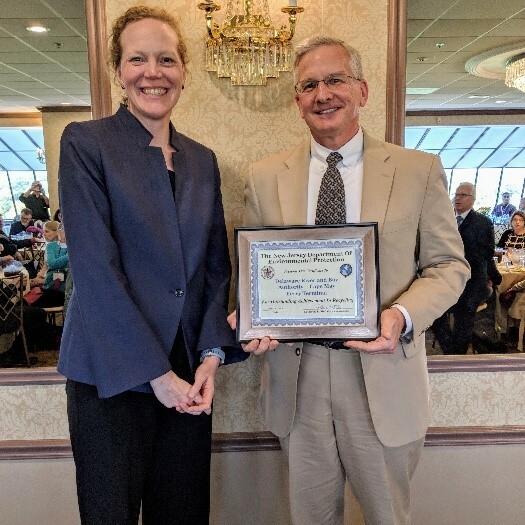 New Jersey Resources in Wall, Monmouth County, the Atlantic County Utilities Authority based in Pleasantville and Linzy Rosen of Westfield, Union County are among the 10 businesses, organizations and individuals recognized during the 38th Annual Association of New Jersey Recyclers Symposium and Luncheon held Oct. 17 at the Jumping Brook Country Club in Neptune, Monmouth County. In 1987, New Jersey became the first state to enact legislation requiring recycling in residential, commercial and institutional settings. More than 40 years later the state remains a leader in this area, having achieved an overall recycling rate of 63 percent in 2015. 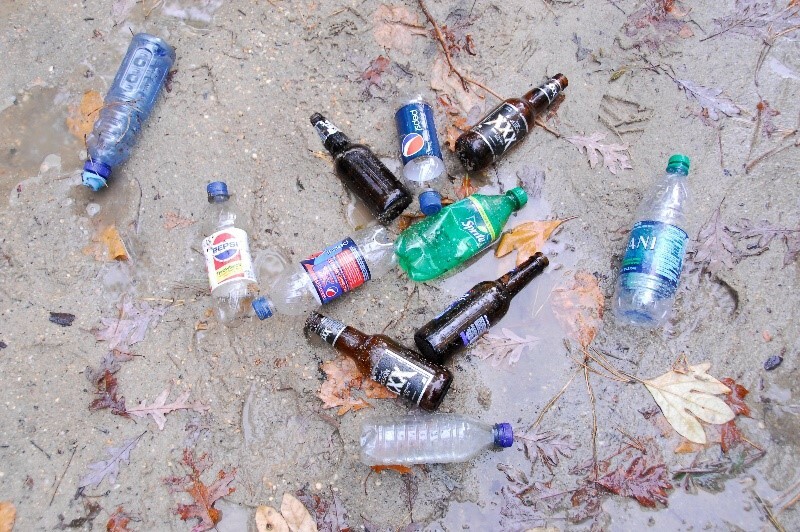 The DEP administers several grant and educational programs to help further improve the statewide recycling rate. To continue its successes in recycling, the DEP urges all residents to keep nonrecyclable materials such as plastic bags, trash, propane tanks and used syringes out of curbside and workplace recycling bins. 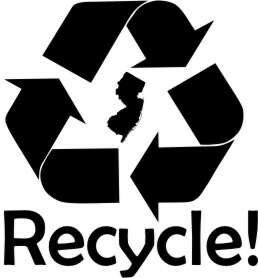 Stockton University recycles bottles, cans, paper and corrugated cardboard, food waste, wood, metal, tires, yard waste, concrete, cooking oil, motor oil, lamp bulbs and street sweepings. Stockton participates in the annual RecycleMania college campus recycling competition and achieved a 41 percent recycling rate for the 2017 competition. To reduce waste, the university created a “Trading Post” in February 2017 for students to trade or purchase gently used items. The school is also committed to purchasing recycled materials, composting materials and more. New Jersey Resources recycles numerous materials including paper, corrugated cardboard, bottles, cans, metal, motor oil, tires, wood waste, antifreeze, batteries and electronics. It also has instituted numerous reuse and recycling programs for non-traditional items such as baskets, bicycles, binders, blankets, books, cell phones, coats, corks, drums, eyeglasses, furniture, grease, home goods, office supplies, packaging materials, plastic bags and film, plastic pipes, vases and other items. The company achieved a 53 percent recycling rate in 2017. Hipcycle is a New Jersey-based online retailer of upcycled goods, which are new products made from materials that would have otherwise been destined for the trash. Hipcycle works with a curated group of product partners by managing the sales, marketing and transactional tasks while the partners focus on designing unique products. Hipcycle ships its upcycled goods in reused boxes and packing material collected from a condominium complex. The board’s regional recycling program undertook several new initiatives in 2017 to reduce recycling contamination, such as promoting the Recycle Coach App, working with multi-family housing developments to reduce contamination at those locations, initiating an inspection program for incoming loads of recyclables at the county recycling center and helping municipal officials to implement curbside cart inspection programs. In 2017 the nonprofit organization, which supports communities as they pursue sustainability initiatives including recycling programs, created a “Gold Standard” for the Municipal Waste Management action area, the largest of the organization’s municipal program categories. Towns can only receive points in the sustainability process for actions that go above and beyond current regulatory recycling requirements. The Cape May Ferry Terminal, operated by the Delaware River and Bay Authority, instituted facility-wide waste management and recycling changes to policies, practices, data management, site infrastructure, supplier relations, local and regional government outreach, customer support and employee recycling education and awareness. In 2017, the Cape May Ferry Terminal achieved a 38 percent recycling rate by recycling a diverse mix of materials including paper, cardboard, plastic, scrap metal, used cooking oil, e-waste, lamps and lighting waste, used oil, batteries and oil filters. The authority is seeing tangible results from increasing usage of its website and social media to reach the community about recycling. The county recycling program has more than 5,500 followers across its social media networks, more than 2,400 blog views and more than 395,000 website views. The authority has established a presence on Facebook, Twitter, Instagram, LinkedIn, Pinterest and YouTube. In addition, the authority promotes its program via Facebook Advertising and has founded two Facebook groups for those interested in recycling issues. The authority’s recycling website also includes a live-chat feature for visitors to interact with customer service representatives. Thanks for Being Green is an approved DEP Class D recycling center for electronic waste. In 2017 the company based in Audubon, Camden County, recycled e-waste for more than 325 accounts in New Jersey, across 11 counties. Thanks for Being Green diverts items from the waste stream by recycling more than the electronic items required by law. As a result, the company’s weight of recycled items in 2017 exceeded the 2016 amount by 27 percent. Members of Pioneers, Chapter 99 and Ericsson diverted from landfills more than 183 tons of surplus office supplies, equipment and furnishings resulting from a redesign of two of the Ericsson company’s locations. The items were instead donated to more than 240 schools and nonprofit organizations in New Jersey, Pennsylvania, New York, Puerto Rico, Haiti, Liberia and Belize. The voluntary effort dubbed “The Big Sweep” involved cleaning out office supplies from 808,000 square feet of office space, organizing the supplies into an inventory, finding non-profit organizations in need of the supplies and sending the items to those organizations. Linzy Rosen started a battery recycling program at Westfield High School during the 2016-2017 academic year that eventually expanded to nearby Tamaques Elementary School. The program reached more than 2,500 students and faculty members between the two schools, and hundreds of community members after the program expanded further to Westfield Memorial Library. 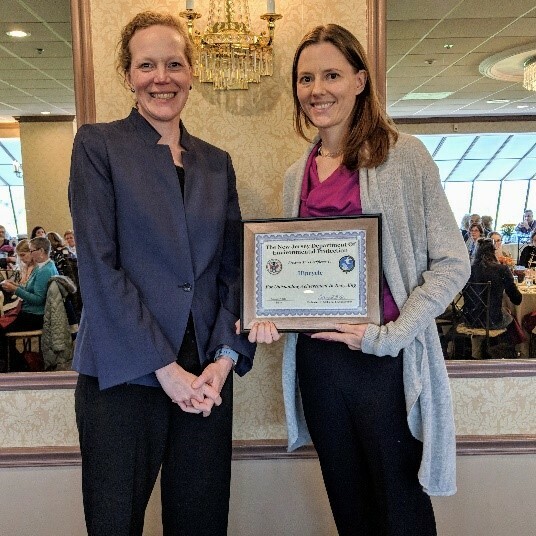 Linzy then convinced the town council to approve a town-wide battery recycling program and helped Westfield secure a Sustainable Jersey grant to fund it. She graduated in 2018.